Step 3: On the next Screen, enter Campaign name, select page or Pages. Step 4: You can post a Text, Link, Image and a Video. For the sake of this Post, let’s Post a Video. Select the Video Post. Step 6: You can enable comment bot, but for the sake of this post we’ll leave it disabled. 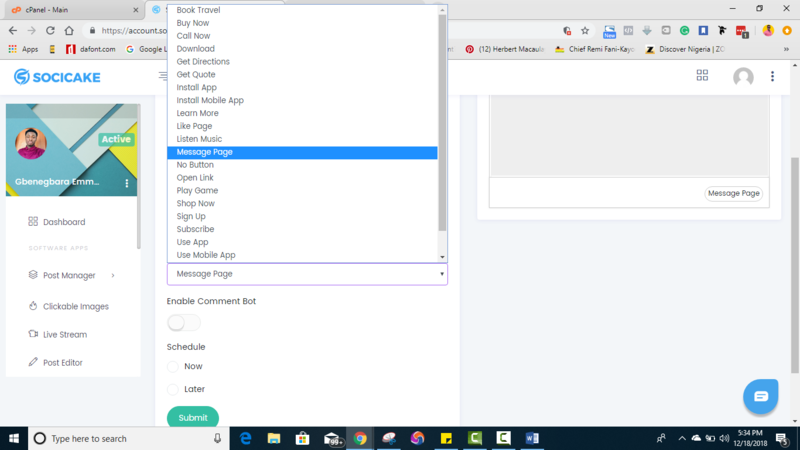 Step 4: Enter your message, Call to Action URL and then choose Call to Action Type. Step 5: You can also enable comment bot and Schedule post, after customizing the post, click on Submit. Step 4: Select Carousel or Slide Show, and then enter slider details. Step 6: You can also enable comment bot and Schedule post. After customizing the post, click on Submit.